According to us its a great way of turning the boring data into a clear graphic to let everyone digest it! 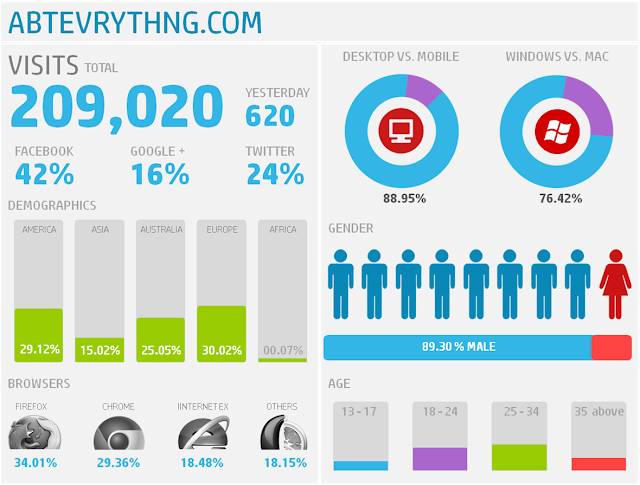 We combined our last years Google Analytics data and Facebook page data to create following info-graphic about users of of our site! This belongs to you users, thanks for all the love and support we got from you. We promise to make this site even more incredible! Let us know how you find this infographic of ours!